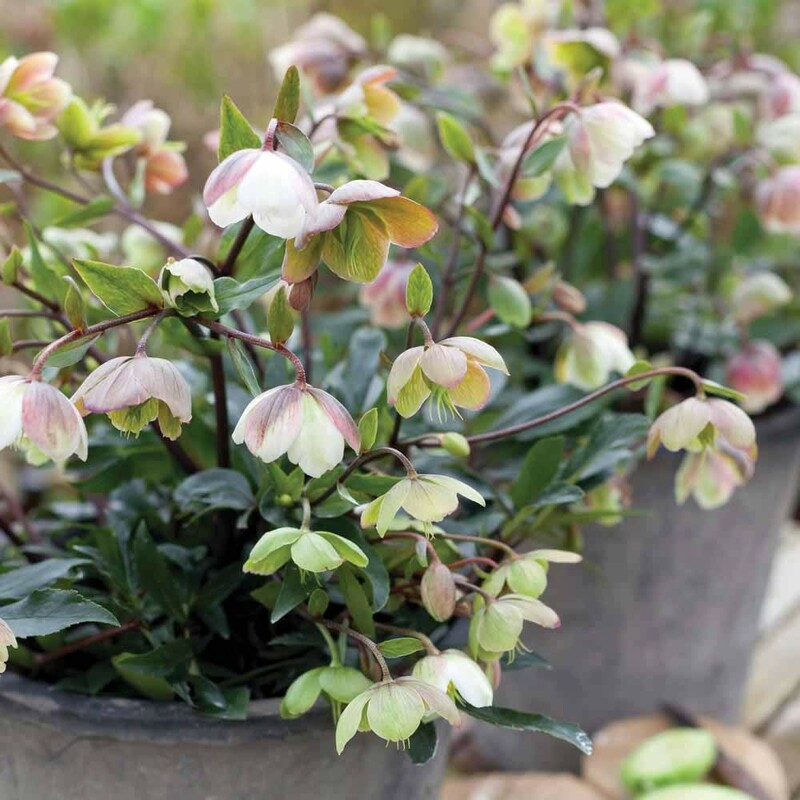 Helleborus are known form starting to bloom in winter when almost all other plants are not to be seen, but Winterbells is unique for being one of the earliest and longest flowering of all. 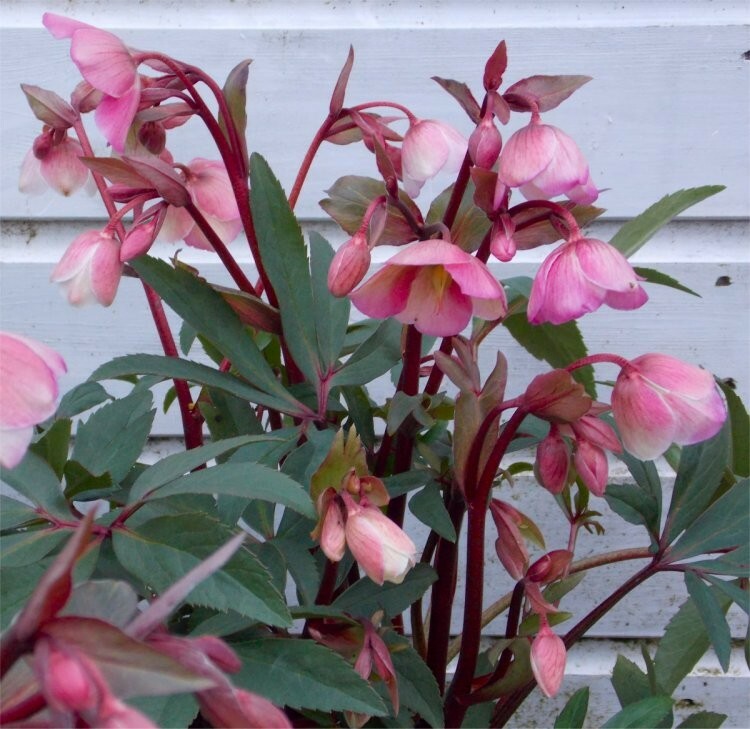 Nodding, beautiful cup shaped flowers appear as early as November, with the colour being especially pretty. The peachy pink buds open to good sized, bell-shaped flowers that mature to pink on the outside and creamy white on the inside and then fade to green. These remain on the plant for some time, often continuing through until May - that's up to seven months of colour and interest for your winter and spring garden borders and containers. Although the flowers of winter bells open mainly in winter and early spring, it's not unheard of to get more blooms again in summer! With an upright, clump-forming habit, this evergreen perennial also has attractive leathery dark green leaves and reddish-brown stems. 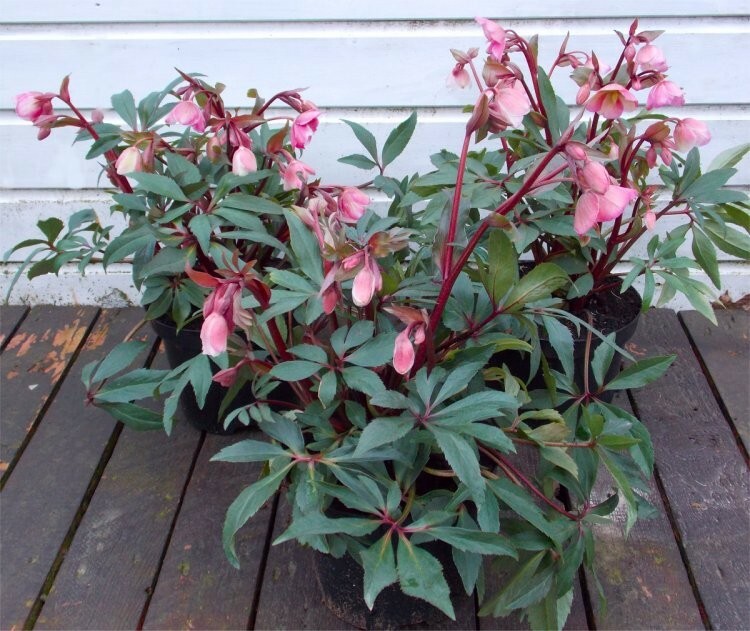 Tough and easy to grow, it is one Hellebore worth adding to any garden. Supplied as pictured full of vitality and bud/flowers in season in approx 3 litre containers.